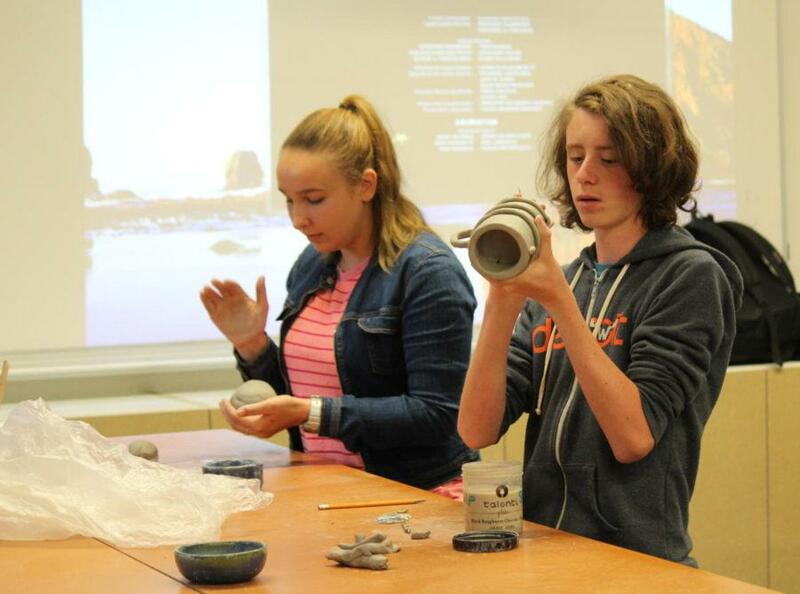 Ty Hall and Elizabeth Elman, two juniors, work on their latest projects in Ceramics Club. 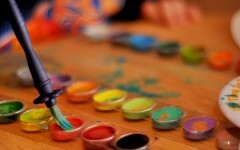 Clay is out, hands are dirty, and paint brushes, as well as lunchboxes, are scattered among the tables in F13. 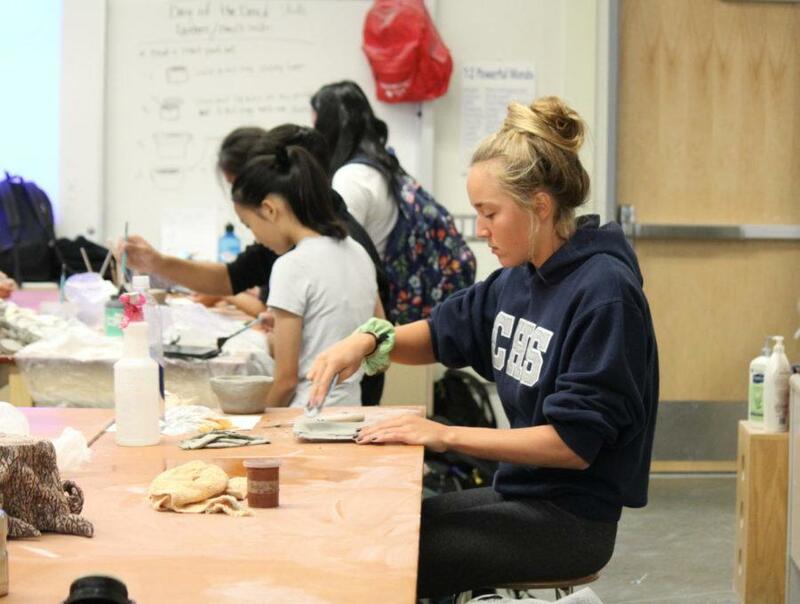 During moments like these, Carlmont Ceramics Club is in full swing. During a Ceramics Club meeting, students can start or continue a ceramics project while receiving instruction and assistance from their peers. Ceramics teacher Tina Condos also pitches in when needed. Many people who join Ceramics Club are those who were interested in the class, but could not fit the elective into their schedules. “I wanted to make ceramics but I didn’t have the schedule room to take the class. With this club, I can come in at lunch and make cool things,” said Hunter Crawford-Shelmadine, a senior. The club meetings have no specific agenda. There are specific projects that students can choose to take a part in, or they pursue their own ideas. “You get to make anything you want using your imagination. 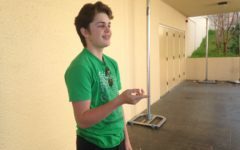 There’s no model to follow; it’s whatever you want to do,” said Mia Zidan, a senior. Ciera Stratton, a senior, works on shaping her project. Club president Jocelyn Wang, a junior, has been in Ceramics Club since her freshman year. Due to initially low member numbers, she had to seek out club officers. “Last year we weren’t able to gather many people to join to the club and keep coming back. This year the club didn’t begin with many people, so Ms. Condos helped me contact potential club officers like [12th-grader] Michelle [Tenin]. 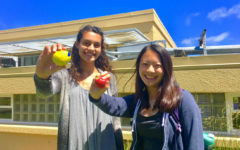 We’ve also seen more people coming ever since we’ve put up posters and gotten noticed at Clubs Fair,” said Wang. Ceramics Club meets every Monday. It is open to all Carlmont students, and little commitment is required. “If you just want to watch what other people do in Ceramics Club and just eat your lunch, that’s fine, and if you want to work on projects, that’s fine too. It’s totally up to each person. It’s really fun, and you don’t need any experience to come,” said Wang.